CONDITION REPORT: Watch is in overall excellent condition and is 100% original. NOTES: This particular example comes with an archives extract from Omega confirming the watch was delivered to the US Air Force in 1959, which is a rare provenance. It is not a military issue watch. 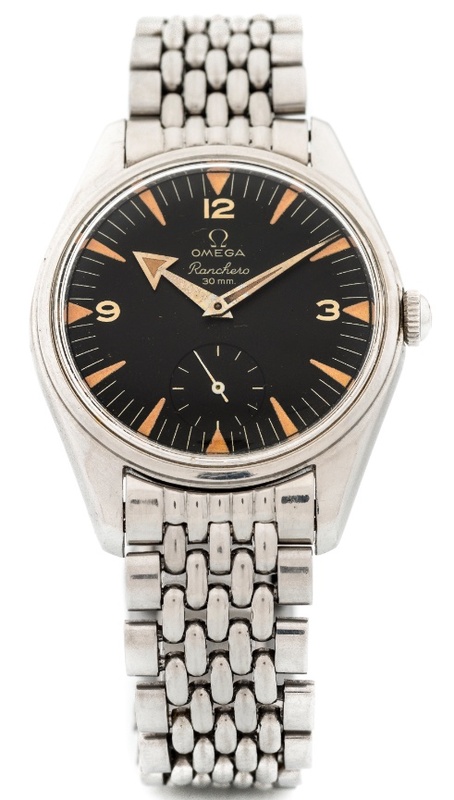 In 1958, Omega created a watch line it called Rancheros. It was inspired by the Railmaster, the Seamaster 300 and the arrowhead hand of the 1957 Speedmaster so there was no mistaking its lineage. The watch encountered resistance in Spanish-speaking countries from potential customers who were put off by its name that means “ranch hand” in Spanish. As a result, the Rancheros, were discontinued and are quite rare today. Ironically, this scarcity has led to high prices in the vintage watch market and the once modest Ranchero has become quite the collector’s item.